Well known Pacific Northwest racer Pete Lovely passed away on May 15th, at the age of 85. 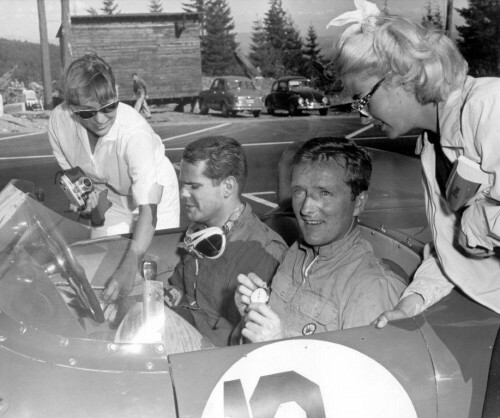 Among his many other accomplishments, Lovely won the first ever race at Laguna Seca Raceway in a Ferrari in 1957, and also set the first lap record at Westwood on its opening day- July 26th, 1959 – in a Lotus 15. Lovely was one of SOVREN’s most illustrious members. The VRCBC offers its condolences to his family and to his many friends. Two links to ﻿The News Tribune of Tacoma: here and here .